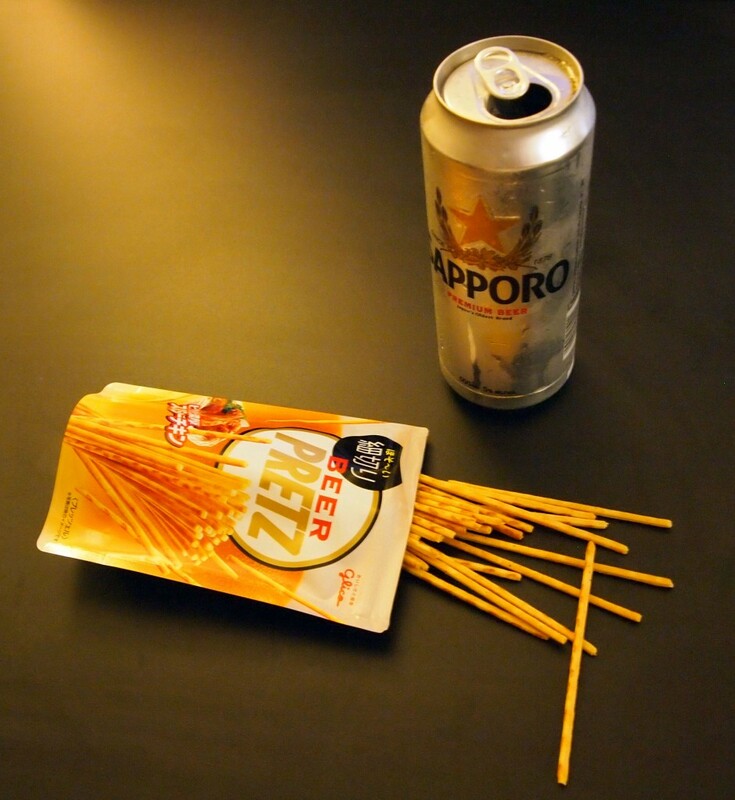 Review: Glico Pretz Beer Spicy Chicken | Oyatsu Break! 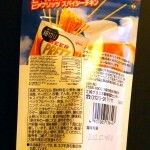 Sometimes Japanese snack foods just sort of appear in my house. I mean, I know I must have received them as a gift, or bought them somewhere, something. 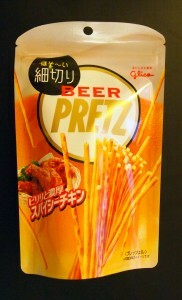 But if you asked me where Glico’s Beer Pretz: Spicy Chicken that I just found in my cupboard came from? I have no idea. 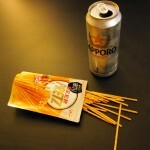 But since I’ve just cracked a can of Sapporo and need something to snack on, we’re gonna do this. Best Before Dates be damned. 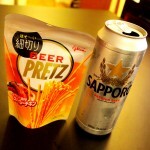 Packaging: Like our Honey Milk Pretz, Beer Pretz: Spicy Chicken comes in a resealable package, with a delightful metallic sheen. I like metalic packaging by the way, can you tell? The imagery on the packaging is fantastic, with the packaging taking on the appearance of a big foamy beer, logos, spicy chicken, and Pretz superimposed on top. I like that despite not reading Japanese the package clearly communicates the contents and the suggested eating activity, good stuff all around. Although I suppose if I hadn’t noticed the spicy chicken there I might’ve assumed that the Pretz were beer-flavoured, but luckily I dodged that particular bullet. Scent: Wowza! Inhaling near the bag gives you a whole range of scents. A deep, earthy, smoky scent with all kinds of herbs in there. Onion and garlic, an earthy Pretz smell, maybe something that could be chicken, but all in all it smells incredibly appetizing! Taste: I gotta say, it doesn’t taste even half as good as it smells. While the buttery baked bread taste of the Pretz is delicious, the herbs, onions, garlic, none of it really comes through in the tasting. Neither does the chicken flavour, or the spicy flavour. But man, does it go great with beer. Seriously though, after 3 or 4 you start to get a bit of the heat, and a bit of the spiciness, and eventually some of the herbs, onion, and garlic do eventually start to come through. 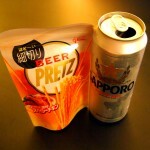 They’re pretty salty, though for a beer snack that’s to be expected, and alternating between the Pretz Beer and an actual beer, the two compliment each other nicely. But again, it’s not a patch on how great it smells. It’s nice, but it can’t help but be a bit of a let-down. 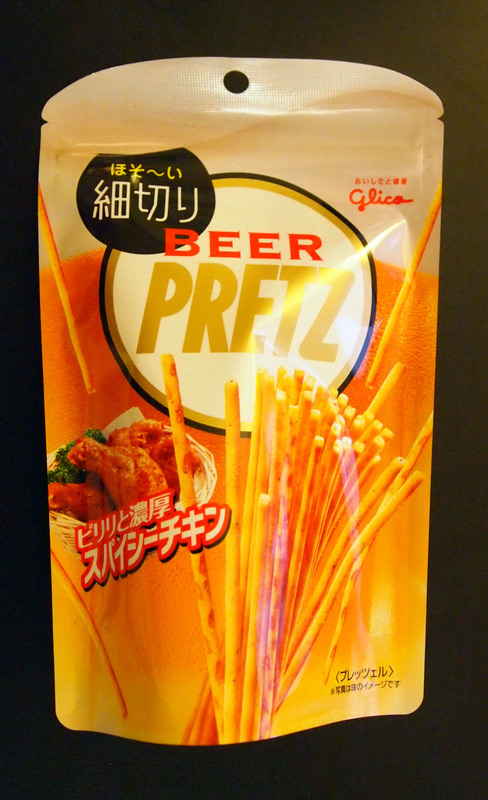 Verdict: You know, it’s pretty hard to go wrong with a salty snack to go with your beer, and on that front, Glico’s Beer Pretz Spicy Chicken doesn’t disappoint. 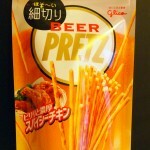 But it’s pretty underwhelming too, which is fortunate because at any given time Glico has 5 or 6 different varieties of delicious, savoury Pretz that go great with beers on the market!